Here is a list of nine most unique cell phones in the world. These phones have features and unique appearance. Some of the cells are still undergoing testing. But, they are coming soon! You can do everything to your phone (in term of the form), you can roll it, change it easily as you want. This mobile phone uses the liquid battery and has a touch screen. 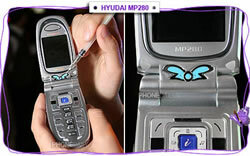 For a woman or a man who is self conscious after own body odor, Hyundai has made this cell phone. HB 280 is a cell phone that fits a tube of ointment. After opening HB 280 to phone or receive a call, the perfume is sprayed. Once the bottle of downloaded perfume is over, you can reload it with your own perfume and change as many times as you want. MP -280 is also equipped with a syringe that you can also change any time necessary. A thing such as butterfly, which is in the middle of the cell, is where you inject your perfume. 2 drops of aroma are sufficient for 8 hours. In addition to this scent, this phone is equipped with a cover panel that makes it look more attractive. 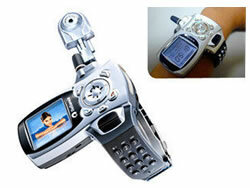 This camera, watch and cell phone weighs only 98 grams. Telson TWC 1150 has many unique features including speakerphone, voice recorder and voice recognition capabilities. The batteries for this small item are capable of supporting talks of 100 minutes, and can hold 150 hours. Telson TWC 1150 is also equipped with a digital camera and can store 80 images. Moreover Telson TWC 1150 can serve as a comfortable phone book. Telson TWC 1150 can be defined by a specific color on the display and has an ability to perform the call in accordance with the contact group. 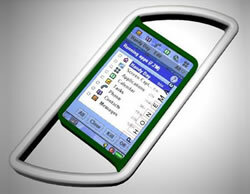 The concept of SURV1 is waterproof and strong structure for mobile. This phone is intended for users who often spend most of their time in an outdoor environment. This cell phone can be used even as a belt clip. 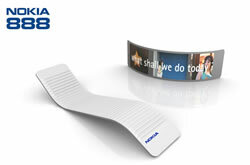 NOKIA SURV1 has a high-resolute scratch resistant screen that can also be used as a flashlight. NOKIA SURV1 is easy in use and takes the challenge of outdoor activities such as camping, tracking, rappelling, etc.. This phone is also equipped with GPS and MP3. If you like the iPod model, Dbtel M50 will make you feel like you are holding the one. You can simply go through the cell phone menu, there are four buttons, answer or postpone calls. There are also functions available for music of iPod format. The screen is of a touch screen type, and you can activate the number keys with just one touch. 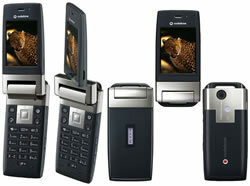 This mobile phone also has a 2.0 Megapixel camera, GPRS, USB, IrDA, and many more. The keypad of the phone catches attention with its unusual location, which is vertical of two rows on the right side of the screen; essential navigation buttons are placed at the bottom of the screen. BenQ Qube Z2 has many features, such as MP3 player with lyrics display, voice recorder, FM radio and 3D surround sound, 60MB of memory, which will give an opportunity to store many images that can also be taken by the 1.3 megapixel camera. Need more space for your music or pictures? BenQ Qube Z2accepts additional memory from the SD card. The concept of this tool is the "virtual" disk drive, which will allow an access to important information and incorporate them into a single tool. 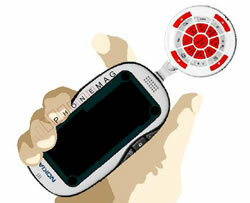 The phone includes GPS, GPRS, recording devices that can transform the sound into text, biometric scanner. Nokia Colors of carbon fiber structure has EVEN more features: the fingerprint recognition, 3G CDMA 2000 1xEV-DO, Google Earth. This mobile is original, created by Bang & Olufsen. Its screen is projected under at the top of the cell. They think that in this way, the screen will no longer be fat, because the user's face. The minimalistic design is very unique. The button ring tones form. This is probably the safer cell phone ever produced as Vodafone 904SH has the opportunity to set the ID of the face. This function can be programmed to recognize the user's face and will lock the access to memory and functions for unwanted person. This will remain until Vodafone 904SH recognizes the face of the owner of appliance. You can also use the "Movement Sensor", which allows users to connect the phone functions on the Nintendo Wii. When you are going to Argentina you have to select cheapest international cards for this country - Partner. For phone calls from New Zealand to other countries the best to use Continental calling card. If you are live in Turkey and ofttimes call abroad you need pay attention to AT&T phone cards. I just couldn’t believe when reading the article, that phone with perfumes exists! Well, this model is definitely for me, as I am always carrying perfumes with. This model will make my bag less heavy. I am just kidding. In general, I presume this cell phone will satisfy even the most demanding client who cares about his own body odor.